In honor of Breast Cancer Awareness Month, Phi Omicron Zeta, painted the church pink with Bethlehem Baptist Church and Sims Chapel Baptist Church in Covington Georgia. 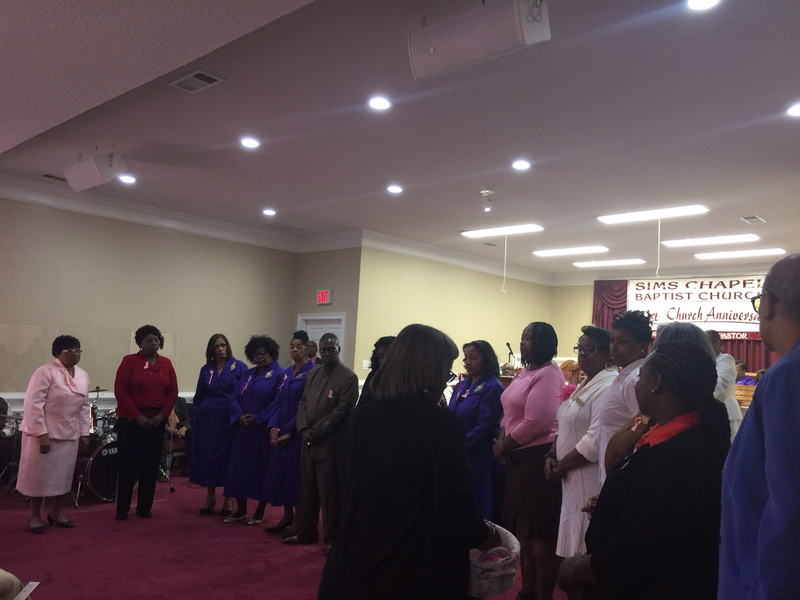 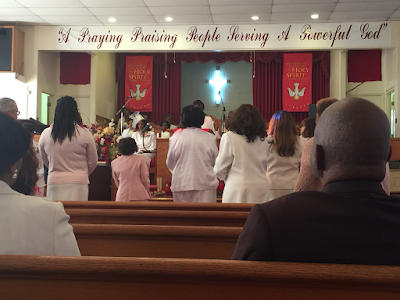 On Sunday October 23rd, at the 8:00 am service, Phi Omicron Zeta Paint the Church Pink concluded with Bethlehem Baptist Church and 11:00 am service with Sims Baptist Church receiving breast cancer ribbons in the form of the breast cancer symbol and recognition for those who knows someone with breast cancer, battling with breast cancer, caregiver to someone with breast cancer, lost someone to breast cancer and survivors to breast cancer. 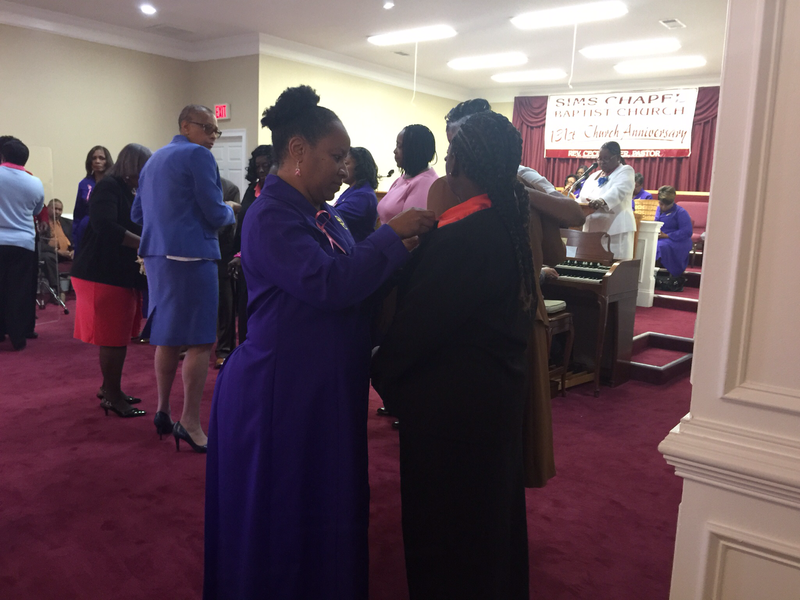 Each candidate was pinned by the Sorors and Amicae; the tenderness of the moment was expressed on the face of each candidate. 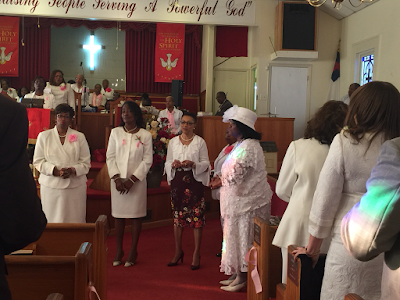 This was a beautiful moment; each church was pleased and is looking forward to the next program with Phi Omicron Zeta.